In the early morning hours of August 11, 2016 a resident of Fairview Avenue in Secaucus awoke and found a male in the process of burglarizing a family member’s car parked near the residence. The burglar subsequently fled the area on foot, prior to police arrival. The same individual also burglarized two vehicles on John Street and attempted to burglarize four more all on that same morning. The attempted burglaries were captured on a resident’s home surveillance camera. All of the vehicles burglarized were left unlocked and the proceeds of the burglaries was cash and coins left within the vehicles. On August 19, 2016, the Secaucus Police Department arrested Georgy A. Estevez, 23 of Jersey City in connection with the aforementioned car burglaries and attempted burglaries. At the time of his arrest, Estevez was found in possession of a quantity of suspected heroin. The arrest of Estevez comes one week after a 16-year-old, Juvenile of Secaucus was arrested and charged with seven separate car burglaries. “The arrest in these recent car burglaries was only possible because of the collaborative effort between the community and the police,” Chief Flaherty said. Georgy A. Estevez is charged with four (4) counts of Burglary, four (4) counts of Criminal Attempt to Commit Burglary, Theft of Moveable Property, Criminal Trespass and Possession of a Controlled Dangerous Substance. Bail was set at $50,000 with a 10% option. 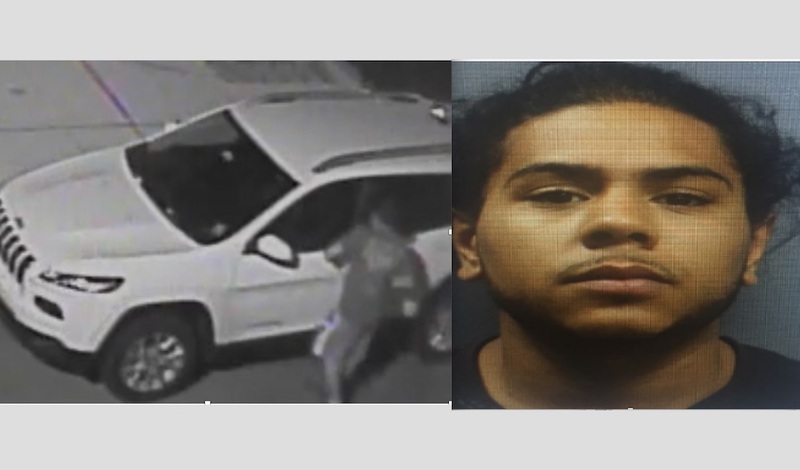 Estevez is a suspect in additional car burglaries in at least one other nearby community and the Secaucus Police Department is cooperating with the other law enforcement agency. Anyone with additional information on Georgy A. Estevez or these vehicle burglaries can contact the Secaucus Police Detective Division at (201) 330-2052 or detectivedivsion@secaucus.net, all calls will be kept confidential.